Warning, there are some changes between 2.10.062301, please take care about this new procedure. 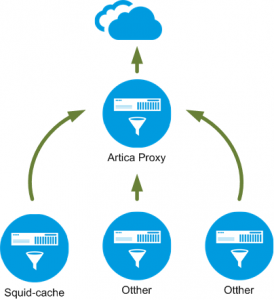 The procedure make Artica as Parent proxy and allows childs proxy to be connected. 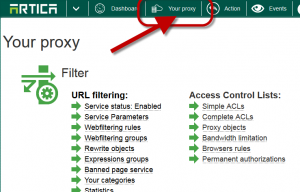 Turn to green the Parent Proxy option. 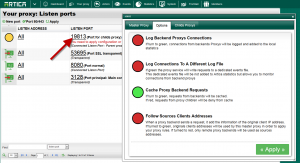 Log connections to a different log file :If green the proxy service will write requests to a dedicated events file. 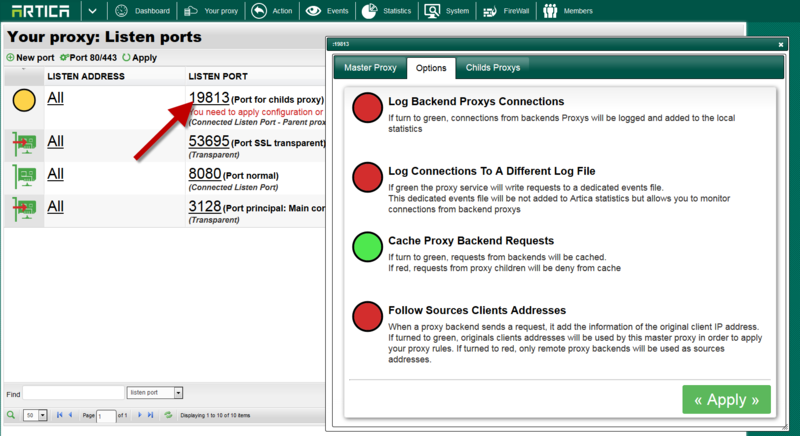 Cache Proxy backend requests: If turn to green, requests from backends will be cached. Follow sources clients addresses: When a proxy backend sends a request, it add the information of the original client IP address. 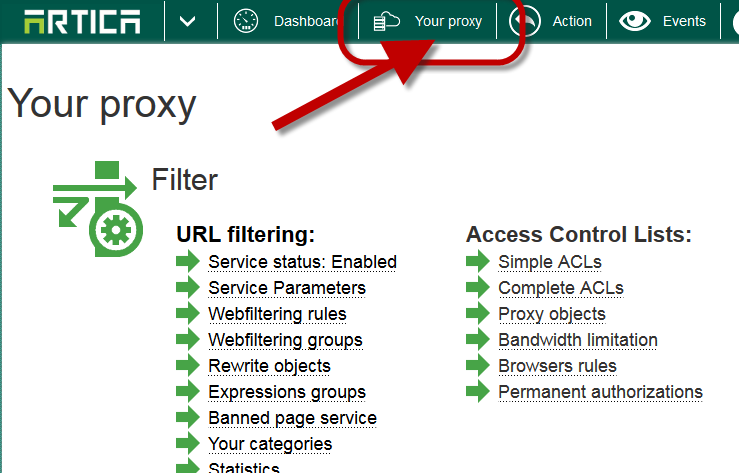 If turned to green, originals clients addresses will be used by this master proxy in order to apply your proxy rules. If turned to red, only remote proxy backends will be used as sources addresses. 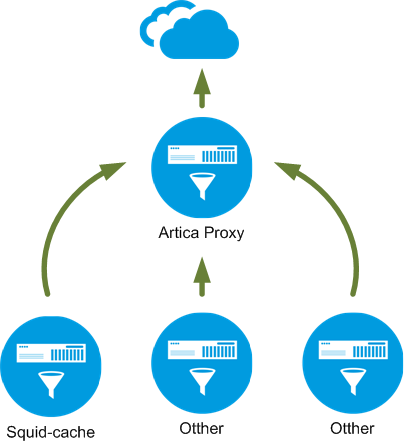 Only defined proxy defined in this section can be connected to the port ( prevent others nodes to be connected on). 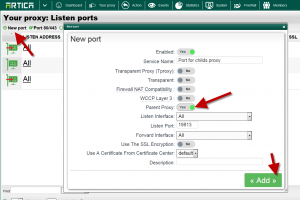 If the parent Proxy is connected to the Active Directory, proxys children will be allowed to pass trough the parent proxy without need to be authenticated. Parent proxy is able to know if it must write to log events from the list. Parent proxy is able to follow the x-forwarded-for HTTP header from the list. Add in the list all proxys that should use the parent port. The Internet Cache Protocol (ICP) is a UDP-based protocol used for coordinating web caches. Its purpose is to find out the most appropriate location to retrieve a requested object from in the situation where multiple caches are in use at a single site. The goal is to use the caches as efficiently as possible, and to minimize the number of remote requests to the originating server. 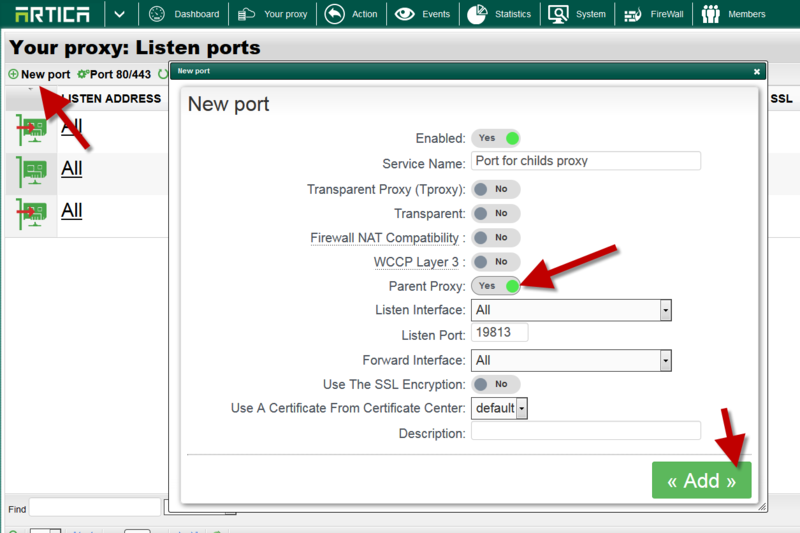 If your proxy children are based on Squid-Cache, you can open an ICP port on your Artica parent proxy. 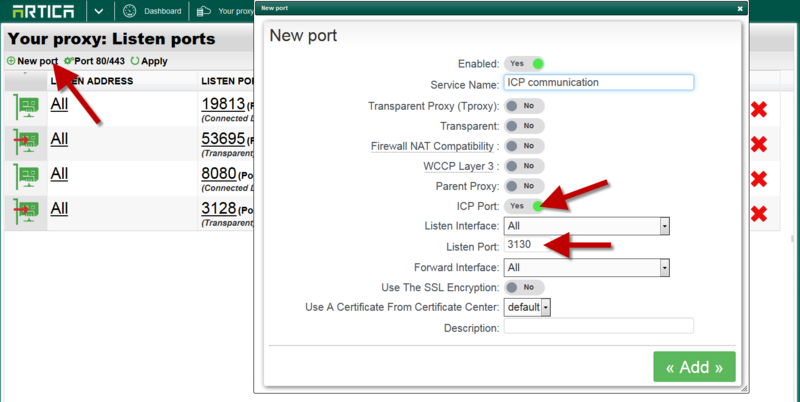 Create a new port with the ICP port option enabled ( by default, all squid-caches use the 3130 port and Artica as client too).